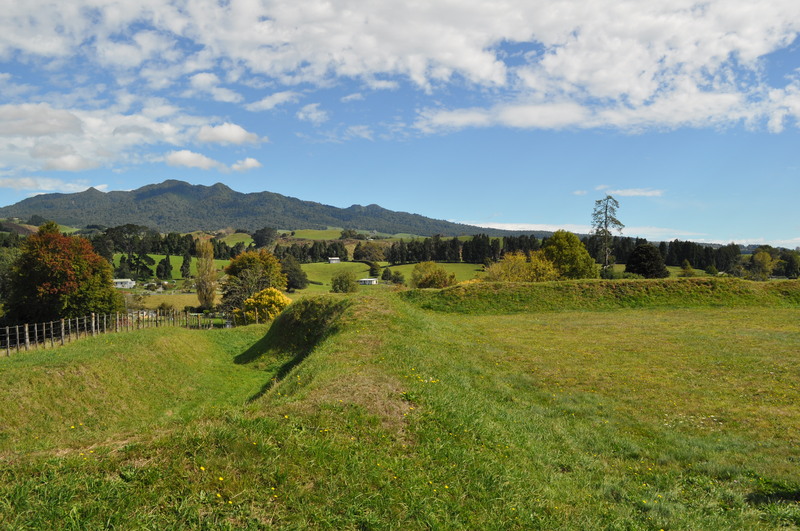 We visited Alexandra Redoubt when we stayed in Pirongia on Good Friday (for more about Pirongia read A Mountain, a cafe and a sunset and A stroll around Pirongia). The village began its European life with the name of Alexandra, in honour of Princess Alexandra of Denmark, wife of King Edward Vll. Its name was changed to Pirongia at the turn of the century to avoid confusion with the town of Alexandra in the South Island. In 1864 Alexandra, situated next to the navigable Waipa River, was set up as a British army military base. It was the end of the Waikato Wars and it was intended that Alexandra would become the capital of the region. A busy frontier town soon developed with two hotels, a variety of shops, a bank, a blacksmith, a library and a school. 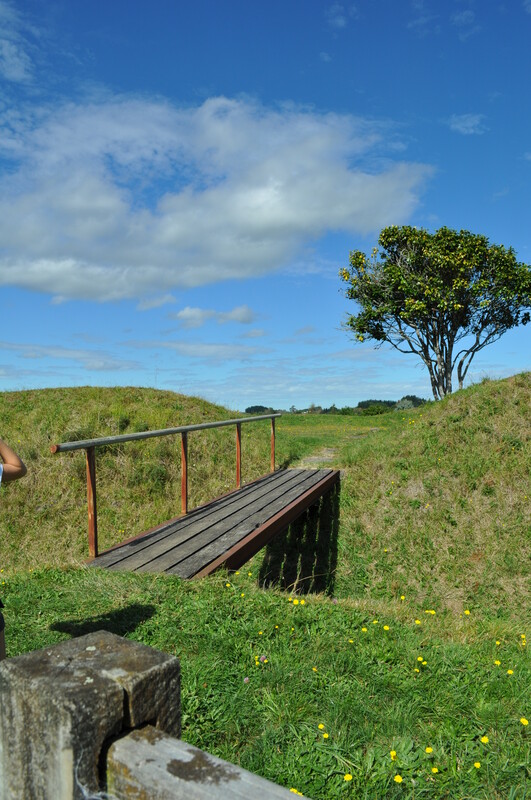 Due to the proximity of Whatiwhatihoe, the settlement of the Maori King Tawhiao and his Kingitanga followers, the Armed Constabulary built two redoubts in Alexandra as places of refuge for local families. Built with high earth walls and trenches they housed blockhouses and stores. 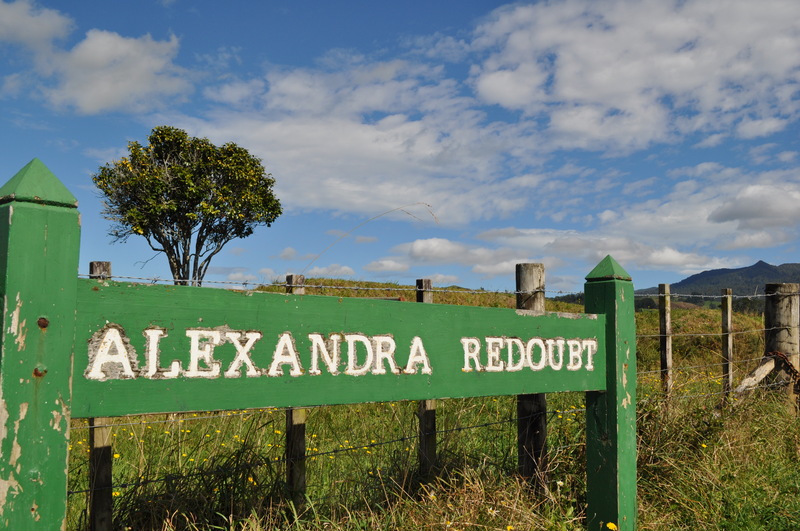 Alexandra Redoubt, off Bellot St, was built on the site of Pirongia’s first Anglican Church, which was removed in 1871. 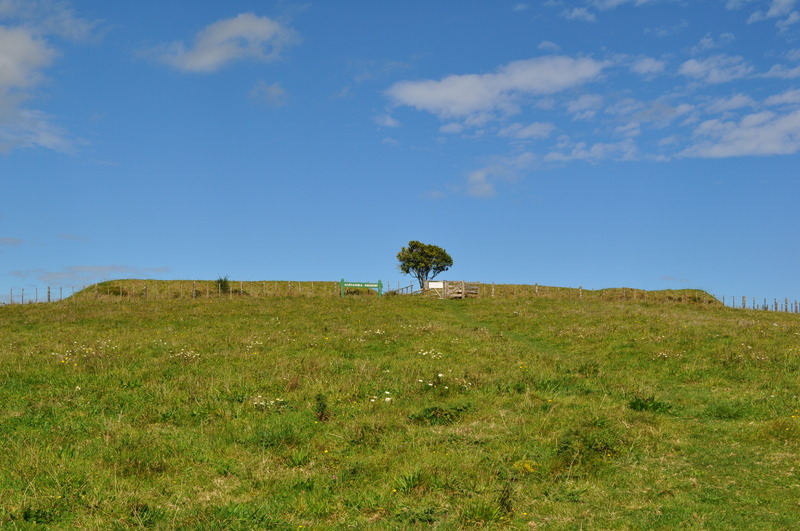 In 1881 Tawhiao and 500 of his followers came to Alexandra where they laid down their weapons before the resident magistrate, Major William Mair. The redoubt was never attacked, but the Armed Constabulary continued to guard it till 1886 when it was abandoned. By the 1890s river transport was in decline and Alexandra lost much of its business to nearby Te Awamutu and other settlements on the new main trunk railway. 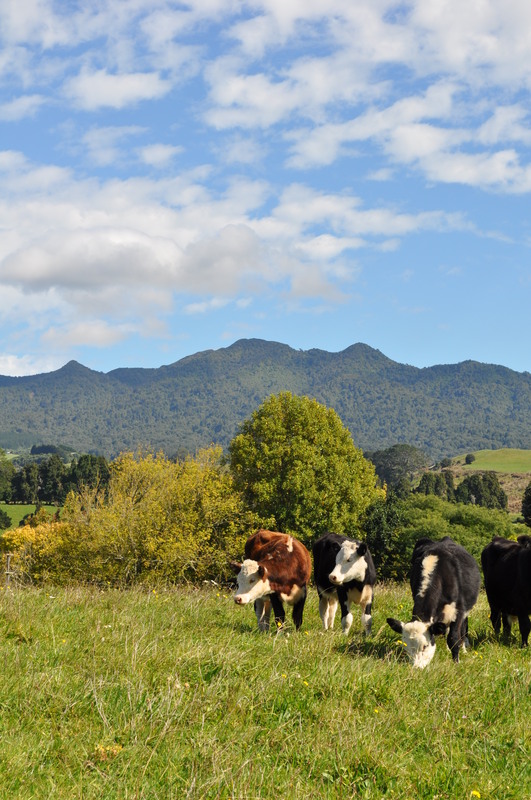 Today Pirongia is a small pretty village and farming centre sat beneath the impressive Mount Pirongia. The historic Alexandra Redoubt is open for free viewing during daylight hours. This is so relaxing. I would just lay on the grass and submerge myself in the countryside. Very nice. I am from Pirongia , Eric Taniwha . My bones are from here . 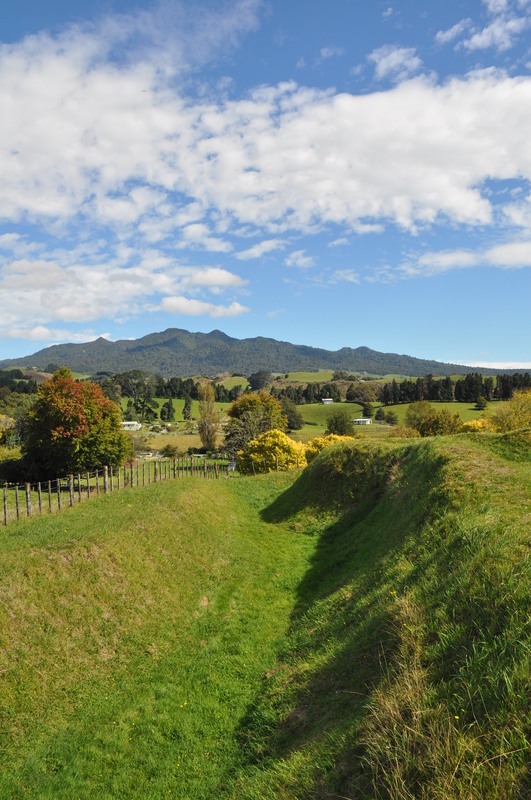 We call in to visit the redoubt whenever we are back in Pirongia – it’s just such a special place.